The Culinary Corner presents Desserts! J. Edwards offers up a large assortment of tasty cakes! dessert . . . J. Edwards. This fine establishment is located at 2106 W. Sycamore Road. There is a huge assortment of goodies to choose from, such as the carrot cake, cookies, and éclairs to name a few. However, my focus will be on the Banana Split Cake – three layers of greatness! It’s exactly what the name insinuates. It stands almost a foot tall, with layers of banana, strawberry, and chocolate cakes. The icing is sugar creamy goodness. I’ve always been a chocolate cake lover at birthday time, but next December 26 (my birthday), I’ll be requesting a Banana Split Cake from J. Edwards. Check out their homemade chocolates. Wow, that’s the only word that will describe all those chocolate goodies. I hope by the time you read this article, they will have those delicious deluxe caramel apples back. It’s the beginning of Fall, but ice cream is always a favorite. Scoops, located at 1231 W. Jefferson and 408 Arrow Street, has a variety of ice cream treats to please everyone. From Super Man to Butter Pecan or even sugar-free choices, this ice cream parlor has become a family favorite of locals. My favorite is Bear Claw. Hmmmm . . . rich chocolate ice cream with caramel ribbons and nuts! Yummy, yummy, yummy. Ok, I know I’m getting a bit carried away, but it’s my all time favorite ice cream. Next up is the signature dessert at Pastarrific, located on Kokomo’s Southside at 3001 S. Webster Street. I had never had Crème Brulee, but this was an unexpected treat. This custard-style dessert is awesome. It has a caramelized sugar atop creamy custard with sweet sauce drizzle. As we all know, Pastarrific is one of Kokomo’s restaurants of choice, but next time you go, save room for dessert. Once again, the new kid on the block makes the list. 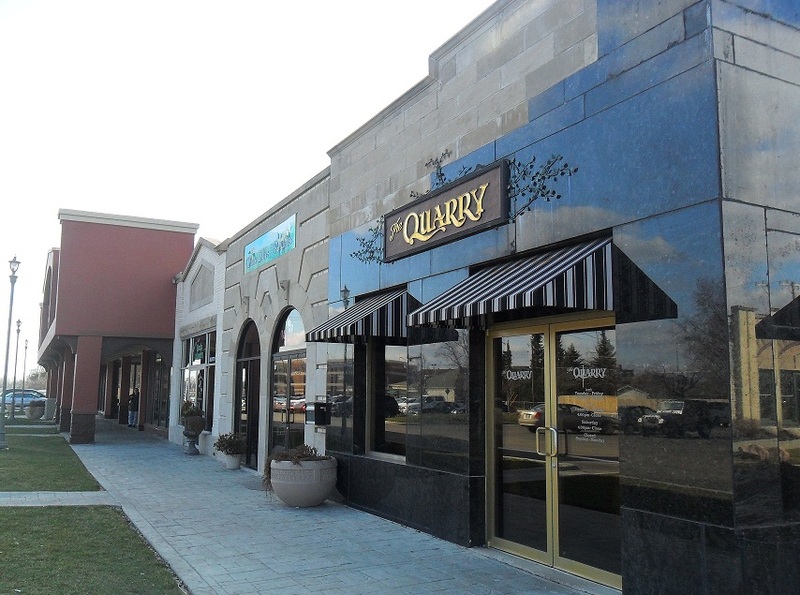 Voted as Kokomo’s favorite Patio Spot for best atmosphere in last month’s issue, The Quarry, located at 2130 W. Sycamore Street, has a Chocolate Layered Cake to die for. Chocolate cake, chocolate ganache, hot fudge, whipped cream, and ice cream. OMG! Natalie, my server, informed me that everything is homemade, even the whipped cream and ice cream. She tried to tempt me with a Snickers Frozen Pie and a Blueberry Cheesecake, by placing ALL three of these scrumptious desserts in front of me. Ok, I can’t lie. I did try all three, but I had back up with me. My husband, who never eats desserts, downed the Chocolate Cake, and then had the nerve to ask for milk. My friend, Anton, hovered over the Cheesecake like a kid over a cereal bowl! Needless to say, all three desserts were super fantastic. Due to my waistline, I only visited a few local establishments seeking great desserts, but I’m sure there are great sweet treats all around town. Next issue we will explore Kokomo’s favorite local pizza joints. Leave a comment and let me know where you go for great pizza! Welcome back to Culinary Corner! This issue, just in time for the summer season, we will explore the best locally owned patio spots in town. The categories are Best Patio for People Watching, Best Patio for Morning Sun, Best Late Night Patio, and Best Patio Atmosphere. First on the list is the Best Patio for People Watching. Sondy’s Sycamore Grille, located downtown on the Square at 113 W. Sycamore, gets my vote. The patio is located right on the sidewalk with a great view of all the downtown action. You can see everyone coming in and out of the courthouse, and during early evenings, you can wave to all your west side friends driving home from work. Sondy’s offers a lunch and dinner menu with a special every day and an extensive martini list. Jason, the bartender, is the best martini mixologist in town and serves up various concoctions and ends the week with .99 cents margarita madness. Best Patio for Morning Sun goes to Frittatas, 306 Espanol Drive. The breakfast menu is delicious with very reasonable prices. Make sure to check out the Country Skillets – they are to die for. The patio faces east, so you get that bright, warm morning sun. It’s off the road, so traffic noise is minimal. The patio is graced with beautiful flower baskets, and the tables are large enough to enjoy your breakfast along with the morning paper. The service is excellent. They keep your coffee cup full and encourage their patrons to relax and take their time. Mulligan’s Pub, located on the point at Home Avenue and Apperson Way, 1134 S. Home Avenue, is the winner of the Best Late Night Patio Spot. The patio has a comfortable feel, with great ceiling fans and good lighting. It features plasma screen TV’s with the latest sporting events and news. 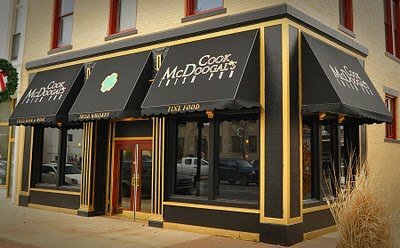 Mulligan’s offers daily drink specials and has some of the best bar food in town. I especially enjoy their pizza, HOG wings, and fried tenderloins. The crowd is always lively, and the service is exceptional. This is one spot you’ll never meet a stranger and feel Hoosier hospitality at its finest. Mulligan’s is open until 3 am on weekends. Now, for Best Patio Atmosphere. The new kid on the block, The Quarry, wins this category hands down! Located on the near west side in Forest Park Shopping Center, this new restaurant’s patio is nestled in a park-like setting in between the buildings. It has an upscale feel, but yet very comfortable. From 4:00-5:30 pm, Monday through Thursday, they offer the entire bar menu half price with a daily drink special all day. The Angus Burger is quite exceptional, and at $4.50 during the bar menu happy hour, it’s a deal. Michael is serving up what might be Kokomo’s new favorite cocktail called the Kokomojito. This one is sure to be a winner. On the weekends, weather permitting, there is live music on the patio under the stars. The Quarry features all fresh food. The meats have never been frozen and the seafood is flown in fresh daily. This restaurant offers a very high level of service and quality at very affordable pricing. If you haven’t had the opportunity to visit this establishment, put it on your list of things to do! Other locally owned patio spots to enjoy are Omeletty’s, Julianno’s, Cone Palace, Don Pancho Villa, and Hacienda. Next issue will be the battle of Kokomo’s best dessert! Leave a comment and let me know where your favorite dessert is located!